Biological cancer is a normal body cell which has outlived its appointed time of death. Every cell in the human body, of which there are a whopping hundred trillion cells, have their life span cut out for each of them. They have to die a natural death – apoptosis (falling of a brown leaf, in Greek). The truth about cancer is it is far from all the myths. In fact, cancer is not even a disease. It is just a process of ageing. Some of us age slowly while others may age faster. Here, I am talking about the ageing of cells, not of morphologic ageing. It explains why cancer occur even in small children. Depending on the rate of growth of cancer, either it could precede the victim or outlive him. When cancer starts growing inside a human body, our body’s own immune system attempts to overcome it or suppress it. If the immune system wins, then the cancer will die permanently. Unusually high incidents of cancer in patients with AIDS clearly prove the above said point. A special gene known as the suicide gene sends the message to every cell when the time of death for that particular cell comes. This suicide gene governs the entire process. With such a large number of cells belonging to so many varieties of organs and tissues, one wonders how this whole process goes on in many of us without a hitch! If, for any reason, the suicide gene either fails to send the signal, or the messenger enzymes do not perform their job properly, then the target cell might not receive the message at all. As a result, the cell supposed to die outlives its life span but cannot divide any further since there is an upper limit for cell replication in any situation (as stated by Hayflick’s law). The cell that escapes its death at the right time mutates to change its DNA, called the Rouge DNA. The latter is the beginning of a potential future cancer, if it chooses to do so. Therefore, it is possible that we all have the potential to develop cancer at any time in our life. All it takes is just an incident to trigger it. It is just a matter of time before one such incident could really become a clinical cancer. Ottoson in Sweden did extensive postmortem study of two hundred and fifty consecutive deaths due to suicide, where he found the presence of a biological cancer in every one of them. Depression is one of the causes of suicide. Depression is now known to be associated with cancer, heart attacks, and many other major illnesses. Clinical Cancer is that stage where the rouge DNA of the cell replicates thousands of times to produce a mass of cells that could be felt as a lump (tumor) by the doctor. This stage of clinical cancer could lie dormant for years on end but it depends on the site of the lump. When it chooses to grow rapidly or grows at distant sites in addition, it causes local pressure symptoms depending on various factors such the site, and the function of the organ. The victim feels these symptoms because of the growth of cancer. This stage is called Symptomatic Cancer. Even then, it could remain dormant for years on at one end. At the other end, the tumor could grow very fast, showing symptoms that are disabling in a very short span of time. These cells are like unruly kids creating nuisance in the neighborhood. To get rid of this problem, killing the children is not a solution. The only thing that we need to do is discipline those kids in a creative way. Similarly, there are methods which can be used to discipline the rogue cancer cells too. It’s not a surprise that the cancer cells may disappear in a few days as we have seen it happening in the patients at our Faridabad Clinic. Amongst all our cancer patients, some of them in advance stage IV of cancer, were kept on a particular diet for few days. Their body was able to discipline those cancerous cells and finally cancer vanished completely. The disappearance of cancerous cells was confirmed through diagnostic tests. Their body had no sign or symptoms of any cancer after 3-6 months of following the specialized diet plan. We all know that Red Blood Cells take approximately three months to renew themselves and it takes two cycles of RBC to completely drive cancer away from the body and the person is able to recover completely from the disease. This knowledge is not confined to me alone! It is well known all over the world. Some intelligent people know this and would prefer this method to recover from cancer rather than going in for harmful methods like chemotherapy and radiation. One such person was Steve Jobs, co-founder of Apple Computers and considered to be one of the most intellectual persons of our times. Steve Jobs was reported to have died of cancer. But what was the truth? I could not believe that a man of such intelligence did not know that cancer is not a disease and that it can be reversed in a few days just by following a particular diet! So I tried to investigate the truth. I contacted many doctors who were close to Steve Jobs. One of them was Dr. John McDougall. What was the reality and what was the fact? I came to know the truth, when I had a talk with Dr. John McDougall. “In October 2003, Steve Jobs happened to run to his Urologist who had treated him, and she asked him to get a CAT scan of his kidneys and ureter. It had been 5 years since his last scan. The scan revealed nothing wrong with his kidneys but it did show a shadow over his pancreas. That evening they performed a needle biopsy and diagnosed it as pancreatic cancer (endocrine pancreatic cancer). The tumor that was revealed by the CAT scan was roughly 2mm. When we talk about the size of the tumor or people dying of cancer like colon cancer, lung cancer, breast cancer etc, then their individual tumor is around 10 mm or 4 inches in diameter. Things from environments like chemicals from the food we eat, cigarette we smoke, attack our cells badly enough not to kill them but bad enough to start dividing them at their own will. Cells do not divide on their own; instead they are regulated and controlled strictly. But in cancer when these cells get injured or damaged due to environmental chemicals, they start dividing at their own will. So, in the case of Jobs, tumor cells started to divide on their own. The time when cell starts to divide on its own is called Doubling Time. A cell divides into two, two into four, four into eight and so on until it becomes a lump of cells. When it grows to about 1 mm in size, it contains about 1 million cells. And when it is 1 cm in size i.e. half inch, it contains about 1 billion cells. So what we know about Steve Jobs’ cancer is that at the age of 48, his CAT scan revealed a tumor of around 1cm. It means that the tumor must have grown to the size of 10 cm which ultimately lead to his death at the age of 56. So it took eight years for the tumor which grew big enough to kill him. If we calculate the doubling time for Steve’s cancer cells from 1cm to 10 cm in 8 years, it turns out to be 10 months. It means that Steve Job’s tumor doubled in size every 10 months. It was a very slow-growing tumor. Usually, solid tumor of various organs double in size every 3 to 9 months. But in the case of Jobs, doubling time of 1cm mass cells to 10 cm in 8 years is 10 months and from this we can very well figure out when the cancer started. It was almost 24 years back from the day Jobs was 48 years old. What we calculated is the time period from a 1 cm to a single cell development, when the cell started dividing on its free will gives us the age when Steve Jobs first developed cancer. It means he first developed cancer when he was 24 years old. Having calculated when his cancer started, let’s get back to when he was first diagnosed with pancreatic cancer. It was in October 2003. He got operated on July 31, 2004, 9 months after initial diagnosis. During surgery, the doctors found tumor not only on the head of his Pancreas but also found 3 metastases on the liver. These metastases clearly indicated that cancer had spread to his liver cells also. They performed a Whipple Procedure during the surgery. In this surgery, they cut the head of pancreas, bileduct and a part of small intestine and gall bladder was removed. This was a major surgery. While they were removing the pancreatic tumor, they also found a little tumor growing in the liver. The tumor in liver was at least 1cm in size for it to be visible. So the tumor in liver was diagnosed at the age of 49 and he died at the age of 56. So it took 7 years for a 1 cm tumor to grow up to 10 cm tumor. Calculating from this, doubling time comes to be around 8 months. Calculating back to when the first cancerous cell reached the liver, we arrive at his age at that time – 27 years. So he was 27 years old when cancer spread from his pancreas to his liver. So we can conclude that cancer began at the age of 24 and started spreading at the age of 27. Steve Jobs’ wife, friends and others called him STUPID for delaying the surgery by 9 months after his first diagnosis. They told him that during these 9 months his cancer had spread from pancreas to the liver. But this does not happen. Cancer does not spread to this level in just 9 months. I showed you by calculating the doubling time and then going backwards that the cancer began at the age of 24 years and spread to the liver at the age of 27. Let me quote something as a proof of my calculations. When Jobs was in his 30’s and 40’s i.e. around 1987, during a meeting it was reported that his hands were inexplicably yellowish and in constant motion. ‘Yellow Skin’ is characteristically due to jaundice and jaundice is caused due to obstructions in the bile duct. One of the most common reasons for the obstruction of bile duct is cancer of pancreas. He was also reported having abdominal and back pain at least 5 years before his diagnosis of pancreatic cancer in October 2003. And doctors told that the abdominal and back pain was due to stones in the kidneys. But it was not possible to have any problem in his kidney because his CAT scan showed that his kidneys were functioning perfectly. The doctors misdiagnosed it as kidney stones! Kidney stones are caused by a diet high in animal protein. When you eat a high protein, acidic diet, you dissolve the bones and that bone material is excreted into your urinary tract and in the process this material gets re-solidified and forms calcium stone. Almost all kidney stones are calcium stones. Steve Jobs was a vegetarian throughout his life, so it was not possible for a vegan to develop kidney stones. Other indication that he may have had this cancer earlier in his life is when he confided in John Sculley (Apple’s CEO) that he believed that he would die young. He was very intuitive and had an insight that he could feel something was wrong in his body, way back when he was in his twenties. Everyone believed that Jobs killed himself by delaying his surgery and that he could have been saved if he had gone for a surgery 9 months earlier. But none of his doctors told him that his body was already full of cancer cells way before he was diagnosed with cancer in October, 2003. In April 2008, Jobs underwent a liver-transplant. But by July 2011, cancer had spread throughout his body reaching up to his bones. He died of cancer in October 2011at the age of 56. But the consensus was that Jobs acted selfishly, stupidly and irresponsibly by refusing surgery in October 2003 at the time of his first diagnosis. But now I have figured out that Jobs developed cancer at 24 and it spread in his body when he was 27. But the question is that how did he get cancer? In his 20’s Jobs worked in Silicon Valley, the hub of US computer industry. He was exposed to all kinds of carcinogens. Electronic industry is full of germ, toxic metals like lead (Pb) and cadmium (cd). Lead causes cancer of ‘islet cell’ of pancreas. Research studies from 1978 prove this. Jobs used to solder computers back then and soldering uses lead(Pb). Metals found in computers include aluminum, antimony, arsenic, barium, beryllium, cadmium, chromium, cobalt, copper, gallium, gold, iron, lead, manganese, mercury, palladium, platinum, selenium, silver and zinc. Steve Jobs was exposed to all these cancer-causing elements when he was still young and healthy but his body cell got injured due exposure to these elements. Throughout his life, Jobs ate a healthy diet and he was looking like a boxer, aggressive and elusively graceful or like an elegant jungle cat ready to pounce on its prey. 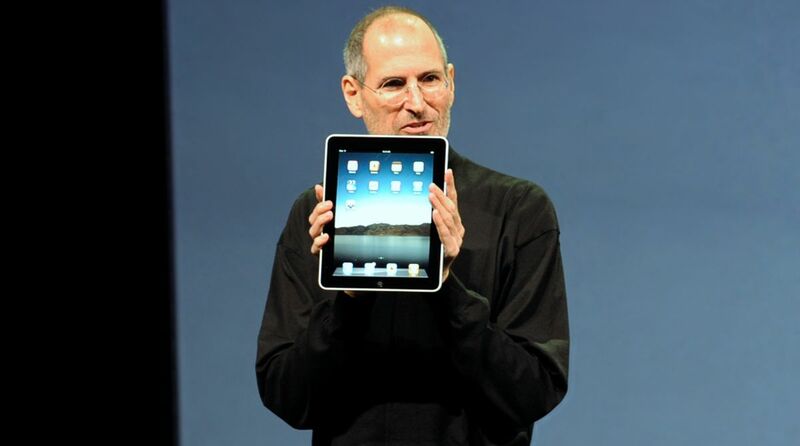 Everyone who knew Jobs or met him marveled at his excellent health. This was all because he was always on a strict vegetarian diet. But he also ate out in restaurants often. He ate lots of fake cheese and meats. These fake cheese and meats are isolated soy proteins which are cancer-inducing agents as they raise ‘Growth factors’. ‘Growth factors’ stimulate cancer growth. Now let’s come back to the time when he got first operated. His pancreas head, gall bladder, bile duct and part of his small intestine were removed. It caused him terrible mal-absorption. He also had to take narcotics to kill the pain caused due to surgery. All this caused him to lose lot of weight. He lost around 18 – 22 kilos of weight. And because Jobs was a vegetarian, doctors told him that this diet is causing a reduction in his weight. He was not getting enough proteins. So he was advised to eat meat and fish. They told him that he was sick and will get sicker not because he had a surgery but because he was a vegetarian. So they advised him to consume high quality proteins. So Jobs’s wife Powell (who was a vegetarian all her life), began to diversify their family diet with fish and other proteins after her husband’s operation. Jobs eventually succumbed to the doctors’ advice and ate seafood and eggs. But eating high quality meat and seafood failed to prolong his life. His medical treatments did little or nothing to prolong his life and caused him great misery and a huge expense. Dr. McDougall also wrote an article for Steve Jobs’ family, to break their conventional notion and let them know how vegan diet saved Steve Jobs from cancer all these 30 years. While going through “Steve Job” his biography written by Walter Issacson, I came to know that Steve Jobs had visited India and learnt about natural methods to reverse any disease by following a specialized diet pattern. Steve Jobs was not the only person to experiment with this diet pattern to reverse the disease, but many people around the world silently did so. Among them, one of the prominent name is Ronald Reagan, the late president of USA, who got cured of his colon cancer by following anti-cancer diet. He died at the age of 93. Steve Jobs considered India as the origin of natural treatment of diseases through alteration of diet plan. Among many of our cancer patients, one such example of successfully cured cancer patient who followed our customized diet plan is Mr Praveen Kumar*, from Panipat. A young man of 32 years he is an engineer by profession. He was referred to me by my neighbor who knew about my expertise in medical nutrition and how it had the potential to reverse even cancer. When he visited me, according to Safdarjung Diagnostic Blood Report, his TLC count was 1,30,000/ml and was taking Imatinib tablets for his Blood Cancer. It all started when he started feeling pain on left side of his abdomen (liver and felt a hard lump under his heart). Despite taking pain killers, there was no relief. On Oct 16, 2014, his doctors advised him to go for blood test. His TLC count that day was 1,80,000/ml. Doctors in Panipat diagnosed it as Blood Cancer and referred him to Safdarjung Hospital,-New Delhi. His TLC count according to Safdarjung diagnostics were 2,94,000/ml. Here the doctors reconfirmed Blood Cancer and put him on Imatinib tablets. He took it for just 2 days. After that he was referred to me. He visited me on October 29, 2014 and I prescribed him a special diet plan and he immediately started following it. In no time, he felt relief and reduced the dosage of medicine immediately and then stopped taking them altogether. In April-2015, when he again got his blood test done, his TLC count were 78,000/ml. Now today, as I write this chapter on June 5, 2015, his TLC count is 7,500/ml (well within range), his hemoglobin 13.7 (too good for a person who had blood cancer). He is physically fit and now advocates our diet plan to others too. To prove my point, I will give you another example of a very close friend of mine, Abhishek Malviya*, a resident of Bhopal, Madhya Pradesh. He was hale and hearty when I met him in January 2013 in Chandigarh during one of my health seminars. After going back to Bhopal in the month of February, he developed fever. The fever could not be brought down by pills. Doctors advised him to go for a biopsy. In biopsy report, the doctors diagnosed him with blood cancer. He was immediately, rushed to Tata Memorial Cancer Hospital, Mumbai. One of his relatives was working in this hospital and offered help in every possible way. Doctors there asked him to undergo chemotherapy. It happened so quickly that even Abhishek didn’t know what was happening! Once he realized the gravity of the matter, he contacted me. I immediately flew to Mumbai on the first available flight. I met him, understood what was going on and prescribed him a diet plan, which he promised to follow. But the overeducated doctors, his family members- chacha, tavu and his dhosts – were totally against it by forcing him to go for conventional cancer treatment. Within 4 months of his diagnosis, Abhishek lost his battle with cancer and died in June 2013. The purpose of writing this chapter is to make cancer patients and people understand that conventional methods of killing the cancerous cell is not the right solution at all. Only following a natural diet plan can help them to recover completely from cancer.